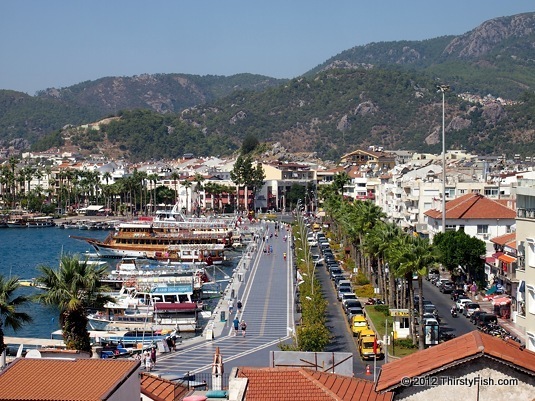 View of Marmaris from the castle. According to the ancient Greek historian Herodotus, there has been a castle on the site since 3000 B.C. The current castle was built in 1522 by the Ottoman Sultan Suleiman the Magnificent as a base for the Ottoman Navy before the siege of Rhodes.